Andy was born in 1963 and grew up in Northern Ireland. Some of his first musical experiences were on clarinet in marching bands and as a guitarist in pop groups of dubious quality. The original career was to be engineering but inability to study and pass exams pushed him towards his first love, music. He successfully auditioned on clarinet for Birmingham School of Music where he studied with Ruth McDowell and saxophone with Jan Steele. 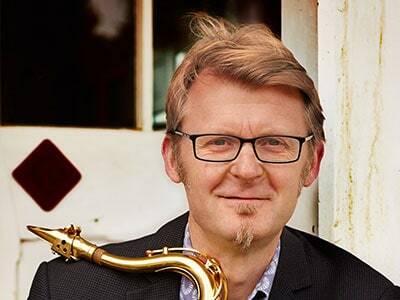 He joined Saxtet while still at music college and over 15 years it become one the UK’s leading saxophone groups performing their own compositions and arrangements. His performing credits include; Piccadilly Dance Orchestra, Pasadena Roof Orchestra, Syd Lawrence Orchestra, CBSO, BCMG, London Musici, Birmingham Royal Ballet, Bournemouth Symphony Orchestra. He also performs regularly with his wife, the accordionist Karen Street in a jazz duo. Andy is in great demand as a teacher. 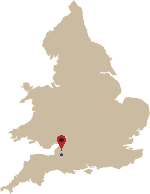 He currently is visiting tutor of saxophone at Birmingham Conservatoire as well as at Wells Cathedral School. Prior to his move to Wells, Andy taught for many years at Guildhall School of Music and Drama, Junior Dept. Every summer he coaches on the European Youth Summer Music course. He has produced or co-produced all of Saxtet’s and all of Karen Street’s CDs and produced his own – Spiritualise – released on Big Shed Music in 2005. This is a recording of some of the best jazz/classical crossover saxophone compositions starting with Schulhoff’s Hot Sonata through Phil Woods Sonata, to Nigel Wood’s Cries of the Stentor and a new composition by Hans Koller for Baritone sax and piano. In 2008 he recorded a CD of contemporary music as part of a new group, Flotilla created by Kyle Horch. He has music published by Boosey & Hawkes and Saxtet Publications and he writes occasional reviews for Music Teacher Magazine.